Perfect for adding fullness and body to your hair! Short, wavy, layered hair piece. Size of the base is approximately 9 x 9 inches. 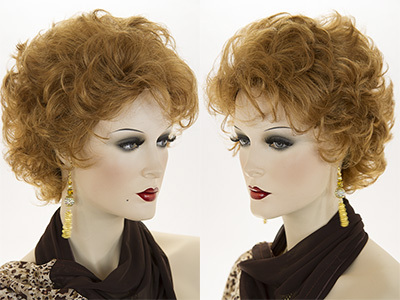 Honeycomb open style construction, where you may pull your own hair through and mix it for a natural look. Attaches easily with toupee clips. Hair length is approximately 4 inches. See item details for available colors. Elastic headband fall, straight and layered on the sides and ends. See item details for available colors. 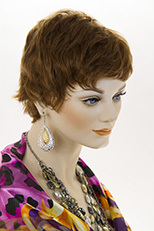 Pull through wiglet, with elastic drawstring around the perimeter, for more styling control. The base is 6 1/2 by 5 inches. See item details for available colors. Add fullness and length in moments! Layered fall, which attaches with 4 toupee clips. Base size is 8 by 6 1/2 inches. The hair is 4 inches in length all around. See item details for available colors. Claw clip 13" long mid-length with layered loose curls. See item details for available color. Long luxurious and wavy reversible fall, 25 inches in length. The base is domed, shaped to the head 5 by 6 inches. Attaches with comb. See item details for available colors. Claw clip with hair, which is 18 inches in length. Straight hair with bouncy curled ends and a slight wet look. See item details for available colors. Scrunchie a short, curly pony tail holder, hairpiece. Natural shades of blonde and brunette. See item details for color selection. Mini fall, 15 inches in length. Base size domed shaped to head 6 by 5 inches. Attaches with comb. See item details for available colors. Hair add on wiglet. 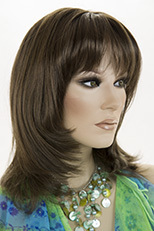 Pull through 1 oz with the hair length 5 1/2" and the base size by 4 1/2" by 6 1/2". 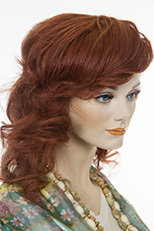 Drawstring hairpiece with tight ringlet curls which are 8 inches long throughout. 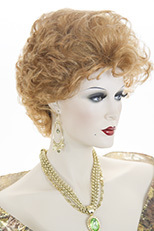 The base of the hairpiece is 6 X 5 inches. The drawstring hairpiece has a small comb sewn on the underside of the base, for securing it to your own hair. The drawstring allows you to make the base size adjustable to your needs. 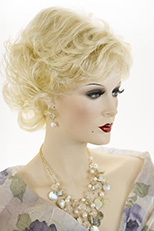 Versatile wavy claw clip, hairpiece, which is 7 inches in length. Available in natural looking shades of blonde red and brunette. Please see item details for color selection. Elastic headband fall, smooth page, with hair falling just below the ears. Wear it with showing your hairline or hidden. See item details for available colors. Drawstring wiglet, which attaches with a comb and drawstring. Tight spiral curls are 3 inches long (curled). The base is 4 by 6 inches.